About Us - What's All This About Us and Food? About Us - What's All This About Us and Food? Who Are We? Our Friends and Neighbors - It's all about people getting together enjoying all things yummy, delicious, entertaining, enlightening, fun - that means you. : )"
Cdin Dances by the Edge of the Sea. We are a small team of family and folk who have joined together to write about one of our most favorite passions - food. Of course we believe there's two kinds of food. One kind is for eating. Another kind is for thinking. Both are very intriguing! One of us is a musician, artist, programmer... (odd combination!) Another is a young, idealistic dreamer, activist. Another is an ardent foodie, gamer, world traveler. And me? I am Cdin - a mishmashed combination of all three. We all whittle at and claim what I write, depending on who is willing to accept the blame. We are conjoined by our love and appreciation of all things yummy, delicious, fun. As this site progresses, we hope to offer more and more value to you, our dear visitor. As it stands, we've a long way to go. As all dreams go, your feedback is vital to us. We will scour the globe to bring you news, views, ideas, thoughts, stories, recipes and personal reviews regarding the pursuit of All Things Yummy, Delicious, Sublime, Ethereal, Exotic, Amnbrosial, and last, but not least, scrumptious. Do we have ulterior motives? Oh, to make a little green along the way, and to promote healthy, happy eating for All. We love ya! 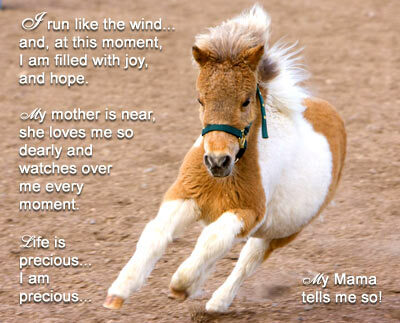 YummyDelicious.com - About us... are we all sweet, baby miniature horses? No... but we are just are cute! : ) How could we put images of us up, when we can put up a picture of dearest, sweetest little Edwin? He is not ours... but we love him as if. Edwin is a little baby miniature horse. He is a little ball of dynamic love. He jumps, he scampers, he rolls, he leaps tall clumps of grass in a single bound. And, he exemplifies everything we would wish to be... that is, except being a lover of all things grass-a-licious. Little Edwin believes in life. He is filled with hopes and dreams. In the morning, he awaits the gate to open with little hooves dancing and tapping in joyous anticipation. He can hardly wait to frolic in the sun, nuzzle and tease his beloved mother, and drink the finest milk in all the horsey land. He believes in life... enjoying every moment. He dares to trust that all is good. Perhaps one day his love for life will change. We fervently pray that it will not. For, his noble little heart is as easy to break, as ours would be if we lost belief in the promise and hope of all good and beautiful things in life. Truth be told.... we are bonafide foodies as well as animals lovers. Foodie-ism started for all of us at birth, and skyrocketed after that. Just like Edwin. We've made it a point to enjoy tasty goodies on a daily basis. We know that we are fortunate, and we are grateful thus far. We also feel compelled to find ways to help all people have full tummies so that there is not one person, or for that matter, one innocent creature, hungry, without benefit of delicious nourishment, on Earth. Overly ambitious? But of course, but it's our dream, nevertheless. As a group, we have acquired many cooking books, cooking utensils, cooking devices and cooking experiences. Some of us have traveled the globe, just to chew and swallow. Every country to us is a repository of... food. Are there museums? Ruins? Natural wonders? We wouldn't know. We only know about the International Pursuit of Lip Smacking Goodness. Seriously... food is the first of the absolute necessities that's fun to consume. Neither of these two have the same capacity to be as delicious as... food. Isn't it interesting how food offers us a new level of pleasure given the blandness of the two aforementioned necessities of life? But for pure, splendiferous pleasure, food definitely supercedes air and water. we DO have a hidden agenda. That not only do we encourage you to eat yummy, delicious food, and provide assistance herewith, but that such food be nutritious, natural, healthy, and of the highest quality. Additionally, that you make it a part of your life to help others obtain such food for themselves, so they too, have the great pleasure of yummy goodness with a full tummy and the pleasurable glow of satiation and contentment. Let there be no hungry person or animal lacking the following: yummy, delicious, food. That's where it all starts, for, without the big three, air, water and food, there is no point to anything else. You may have heard the following: Feed my Lambs. Feed my Sheep. Feed my Flock. Okay! Let's do it! : ) With love, spiritual goodness, and yummy deliciousness! click HERE for our contact form. We will get back with you asap. : ) To email each of us directly, go to the bottom of this page for our individual email links.